The Plastic Consultancy Network is a network of the best industry professionals in the world. It is made up of experts from various plastic sectors such as extrusion, moulding, processing, biopolymers, manufacture, RnD, testing and characterisation. Each member of the PCN is a highly qualified, experienced, independent plastics consultant. Plastics experts are only granted membership if they are an active professional plastics consultant. Impact Solutions would like to congratulate their Head of Polymer Science, Michail Kalloudis, on the acceptance of his membership with the Plastic Consultancy Network. His expertise will be in testing, research and development and polymer characterisation. Michail has now been at Impact Solutions for 2 and half years. As a technically experienced polymer scientist, he has advised and supported customers with material failure analysis and development. Michail has also created a new, reliable and cost effective NDT technique for plastics. 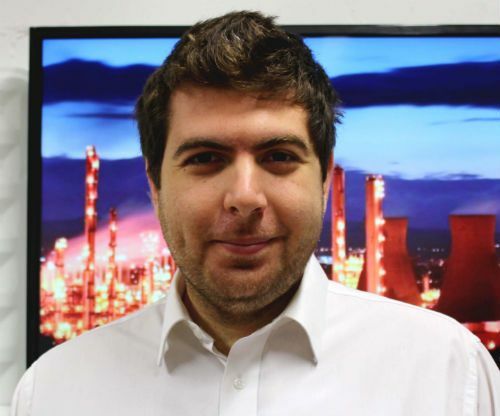 With an Honours Degree in Material Science at the University of Crete in Greece, Michail went on to research the interfacial properties of polymer and polymer-nanoparticle composite materials for his PhD Degree at Edinburgh University. Michail has more than six publications in International Scientific Journals and Conference proceedings. He works very closely with top research institutes such as the Chemistry and Engineering Schools of Edinburgh, Strathclyde and Michigan Universities. Within these schools, Mike has worked to help with the research and development of advanced materials. His main interest is the research and development of polymer and composite materials and has more than 8 years of experience in the research, testing and development of plastic-based materials for use in oil/gas, automotive, constructions, biomedical and agricultural industries. Since Michail’s membership acceptance, it has become apparent that he may in fact be the youngest Plastic Consultancy Network member. This is a huge achievement in itself and Impact wish Michail the best of luck on his journey with the PCN. Related Post What Did 2017 Bring for Impact Solutions?